Western Canada High School has a tradition of excellence in the offering of its instrumental music programs. We are proud to annually have over 325 students enrolled in our Band Program. At WCHS we offer an extensive instrumental music program with three Concert Bands, two Jazz Bands, two Jazz Combos and eight Chamber Ensembles. Our Grade 10 Concert Band, Grade 11 Symphonic Band and Grade 12 Wind Ensemble are featured performance ensembles open to students with previous experience in instrumental music. The Band Program is a co-curricular at Western, complementing our outstanding academic programs. Yearly students in the Band Program work extensively with professional musicians to build their individual musical skills. Students participate in fall band camps to Banff and Caroline Alberta and participate in an annual spring tour to various destinations across North America. We also have the outstanding opportunity to perform our annual winter and year-end concerts at the Jack Singer Concert Hall in Calgary, which is a world-class performance venue. 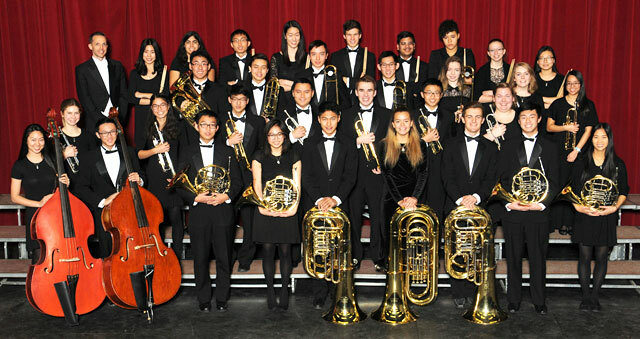 Over the past 2 1/2 years, the Grade 12 Wind Ensemble has performed in various festivals and concerts. Most recently, they travelled to Los Angeles, California where they participated in workshops at UCLA, CSUF, Disney Performing Arts and were a featured performance ensemble at Disney.